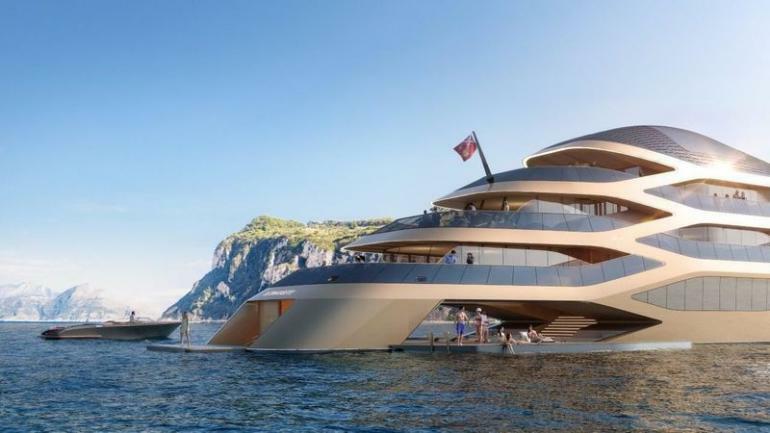 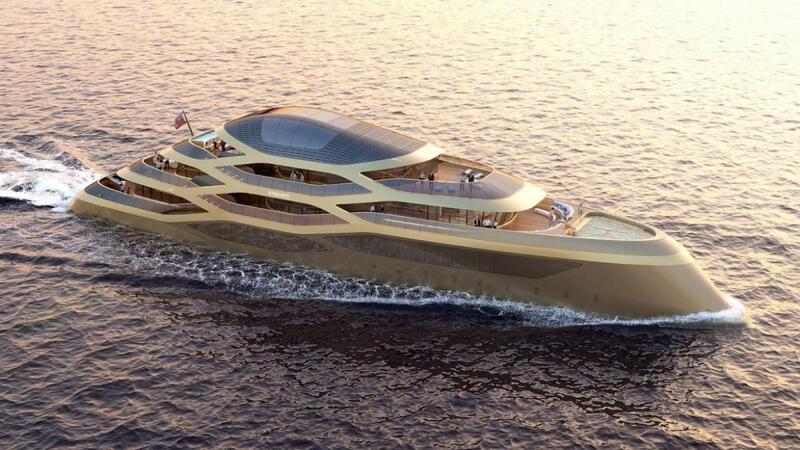 Italian yard Benetti in an exclusive collaboration with award-winning international architect and designer Fernando Romero has come up with a new 77 meter superyacht concept called Se77antasette. 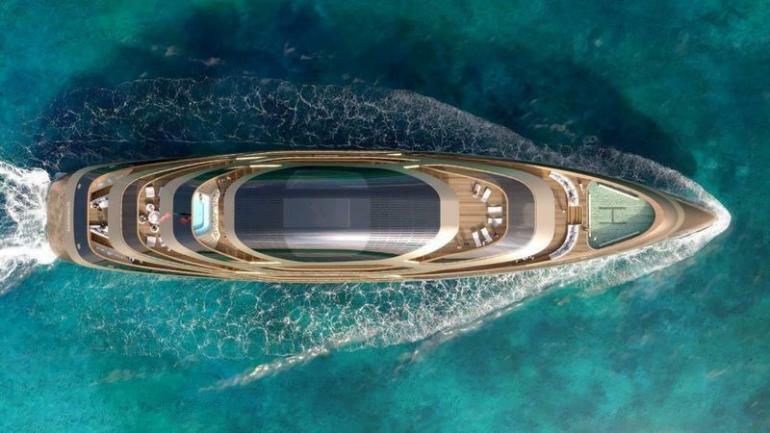 Revealed at the 2017 Monaco Yacht Show, the Se77antesette (seventy-seven in Italian) is a super-sleek luxury vessel described by the yard as ‘innovative’ and ‘revolutionary’ and draws inspiration from the natural marine environment. 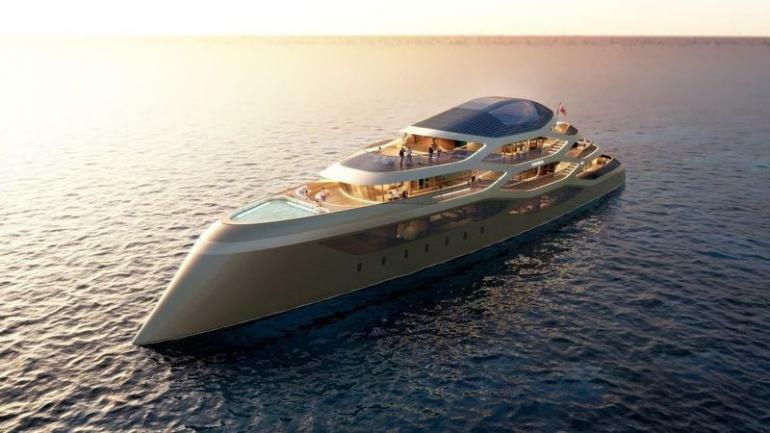 Breaking Benetti traditional yacht design, the concept’s smooth exterior surface along with the design’s flowing lines was created with the help of aerospace engineers. 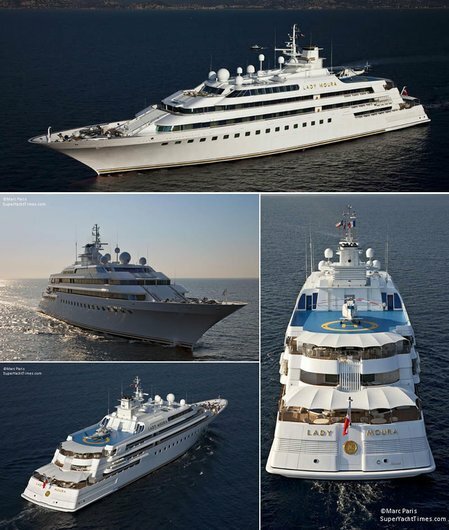 All sat-com units that would typically be visible on the mast are hidden inside a glass dome structure. 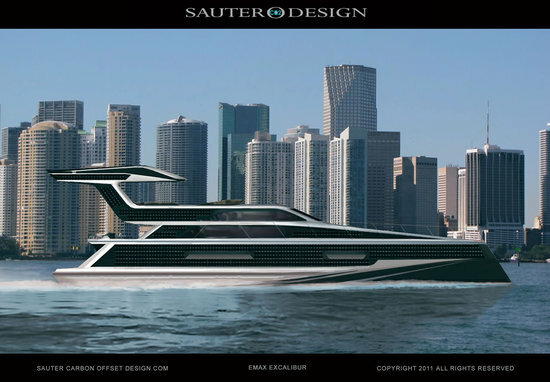 This gives the yacht a sleek look without compromising safety or entertainment on board. 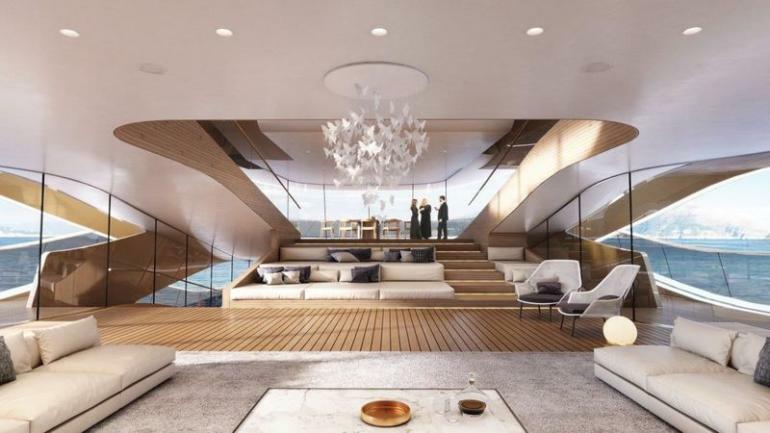 Accommodation on the superyacht is designed for 12 guests split between seven cabins, including a main-deck master suite that measures 100 square meters. 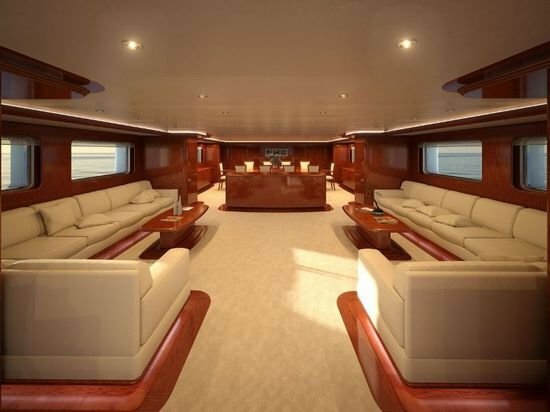 Two VIP cabins and four guest cabins are on the lower deck. 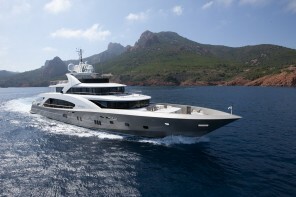 An observatory deck at the very top of the yacht provides a 270-degree view over the yacht’s surroundings. 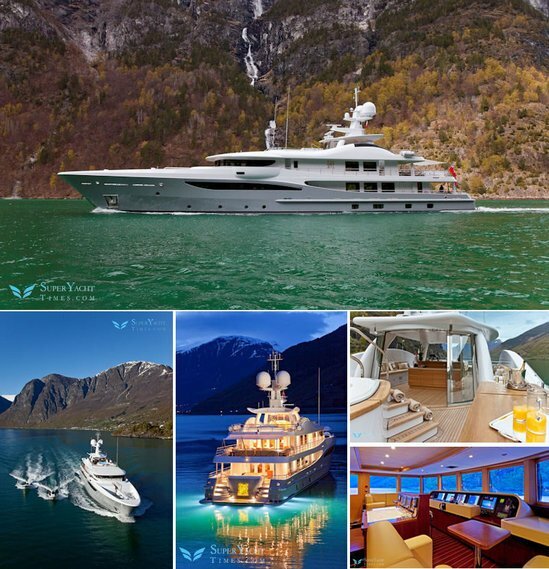 The foredeck is another notable area, with a 1.5 meter deep swimming pool and a helideck suitable for landing an EC145. 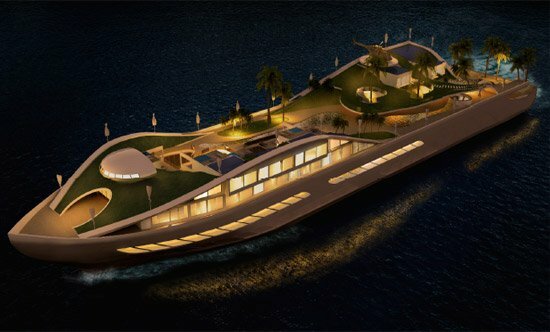 In the center of the vessel, there is an atrium that can be used as a fully-functioning dance floor with a DJ setup, as a formal dining area or a movie theatre. 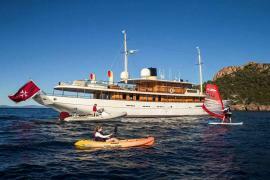 The superyacht can support a staff of 19 crewmembers. 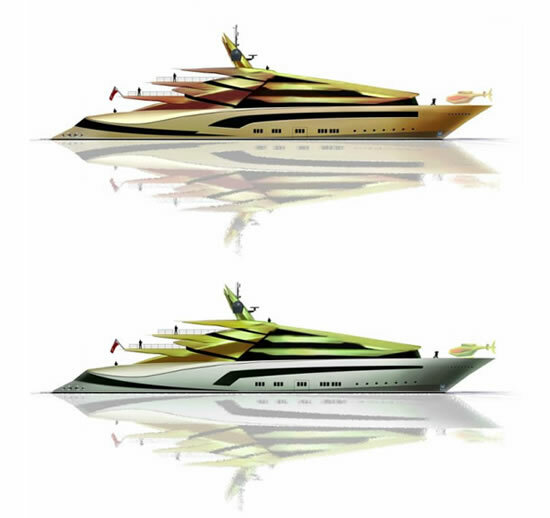 Benetti at the event said that the Se77antasette would be powered by a twin 2,145 hp diesel-electric engine set-up for a top speed of 16 knots and a maximum range of 5,000 nautical miles at 12 knots.